As stated in their core values BDO Unibank, Inc. (BDO) committed to customers to deliver products and services that surpass customer expectations in value and every aspect of customer services, while remaining to be prudent and trustworthy stewards of every customer’s wealth. For instance, BDO honors its past, continues to improve on its present, and moves towards the future with confidence and strength. 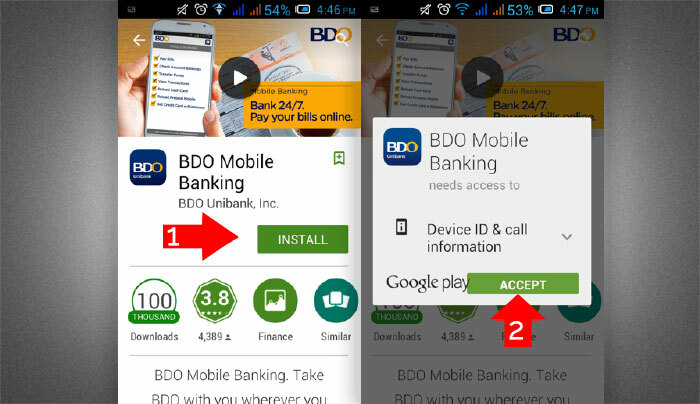 BDO truly find ways by making banking more convenient. 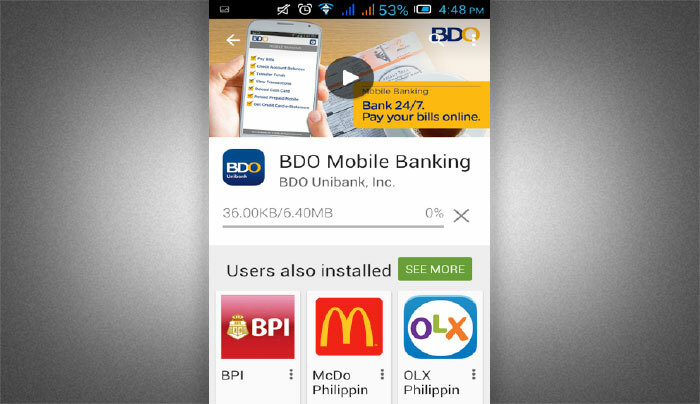 In this article, I will teach you how to download or install the BDO Mobile Banking Application. The App is free, but usage of the App requires internet connection for the device through free or paid WIFI, GPRS or Mobile data. NOTE: I use Android phone while installing and taking the screenshots, the instruction may look different but the process is almost the same. 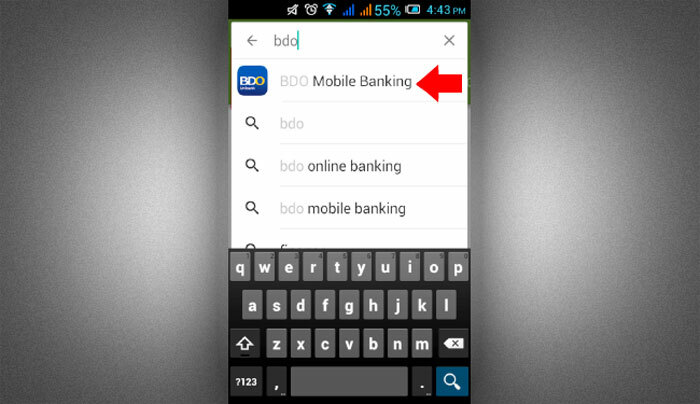 Open Google Play (Android) or App Store (iOS) and search for “bdo” without quote in the search bar, in the search suggestions that will appear below the search bar, select BDO Mobile Banking, make sure to check the name appearing under the App thumbnail is BDO Unibank, Inc. This would ensure that you are downloading the legitimate or Authorized Version App. After you tap on the BDO app that you found in step 1, it will go directly to the Apple App Store for iOS (iPhone, iPad, iPod Touch) and Google Play Store for Android smartphones and tablets. Tap on the Install button and accept to confirm the installation. 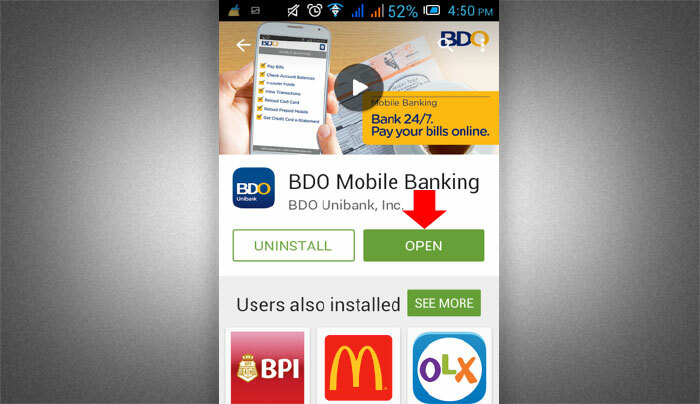 It will now install BDO Mobile banking app on your device, just wait until it reaches 100%. 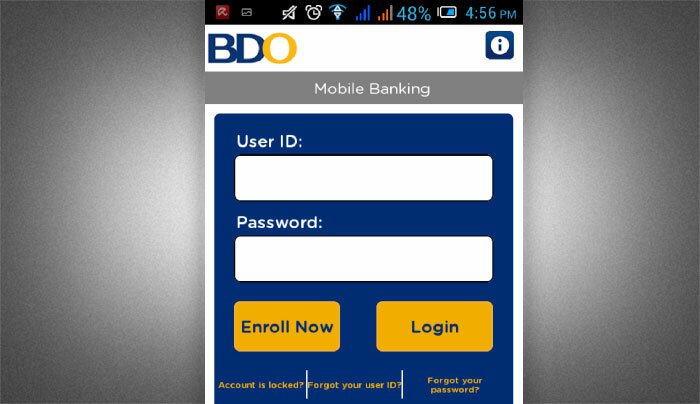 After BDO Mobile Banking App successfully installed on your device, just tap the open button to start using the application. The user ID and password that you are currently using for BDO Online Banking will be the same login credentials that you will use to access your account via BDO Mobile Banking App. That’s it enjoy and do more while banking on-the-go.